South Bend, Ind., isn't like other college towns. It's not like Charlottesville, Va,, or Ithaca, N.Y.—towns that crawl with "hippies" and "yuppies." It's not like Lincoln, Neb., or Tuscaloosa, Ala. Those are football towns where fans are not only rabid, but have a sense of entitlement. No, South Bend, Ind., is different. It's not just a college town with a football team. South Bend is the mecca of college football. South Bend is home to Notre Dame. Being home to Notre Dame, you'd think the town would be full of well-to-do Catholics who love nothing more than to throw the past success of the Fighting Irish football team and the prestige of the university itself in your face at every chance they get. South Bend is a blue-collar working class town that works hand-in-hand with the University of Notre Dame to form a close-knit community that should be the envy of every town in America. The people of South Bend love their Fighting Irish. The Notre Dame Athletic Program, specifically the football team, is the face of the community. They are proud of their history. There is not, however, a sense of entitlement. Following a championship dry spell where the Irish have not won a national title in nearly a quarter of a century, South Bend is soaking up and celebrating every last win of the 2012 football season. The Irish have won blowouts and nail-biters. They've won soundly and they've won with controversy. Quite simply, they've won. They won their way to the BCS title game. On January 7, 2013, the people of South Bend will watch their beloved Fighting Irish take on either the Alabama Crimson Tide or the Georgia Bulldogs. Those two teams will meet this Saturday for the SEC Championship and the right to join Notre Dame in the title game. This is the perfect opportunity for Notre Dame to pick up a few new fans, if only for a day. As most college football fans know, a Southeastern Conference team has won the BCS National Championship each of the past six years. Most college football fans are ready for a change. The problem for most fans is that the one team left who can end that SEC streak is the most polarizing team in the land: Notre Dame. The fact is, the rest of the nation simply is not South Bend. Outside of the small community in northern Indiana, you either love Notre Dame or despise them. You despise them for winning too much in the past (as if that makes any sense whatsoever). You despise them for their TV deal with NBC. You despise them for being everything your college team is not. You ignore the fact that Notre Dame does things the right way. 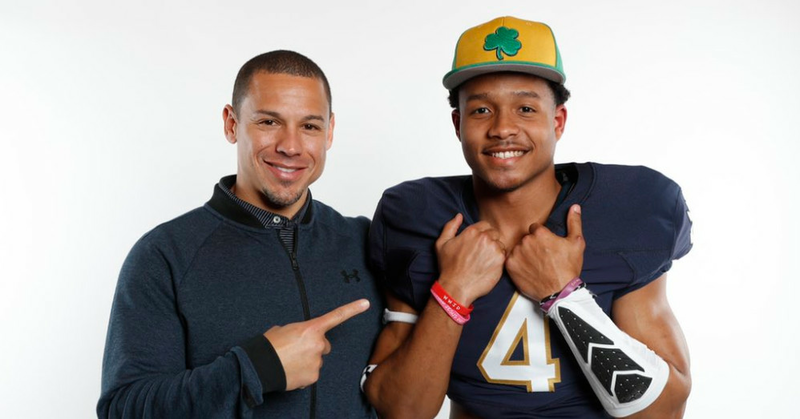 They graduate 97 percent of their players, who must first get accepted, which is no easy feat at a school like Notre Dame. You then ignore the SEC's longstanding relationship with CBS. Listen to Verne Lundquist call a Florida game on a Saturday. He'll sound every bit the homer as the fellas calling the Notre Dame games on NBC. You don't seem to be bothered by the continued practice of oversigning that has run rampant in recent years in the SEC. Who is the bad guy here? The fact of the matter is, this time, despite the No. 1 ranking, Notre Dame is the underdog. The winner of the Alabama vs. Georgia tilt on Saturday will almost certainly be the favorite in Vegas to come out on top on January 7. Another SEC Championship. Another year of SEC chants, even by Vanderbilt and Kentucky fans, to remind us all that they are the dominant conference in college football. I can't stand the thought of it. So as I turn in tonight in my home in Nebraska, decorated as most in this state are with ample Husker garb, I've already made up my mind. For one night only on January 7, I'll put my Big Red and Big Ten allegiances aside, and the Notre Dame Fighting Irish will be my team. As always, they'll be South Bend's team. And I have a sneaky suspicion that once that ball is kicked off in Miami, the Irish—if only for one night—will be America's team. 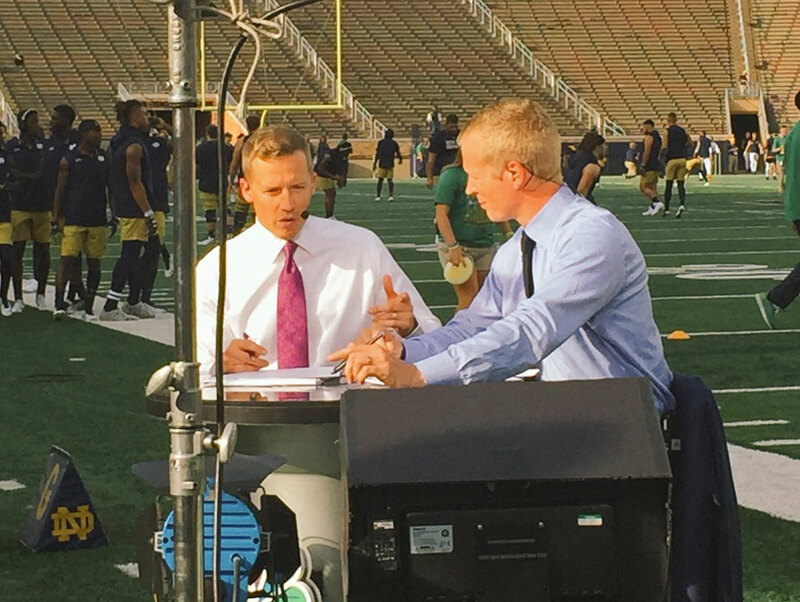 Can Chris Simms Replace Doug Flutie During Notre Dame Games Permanently?